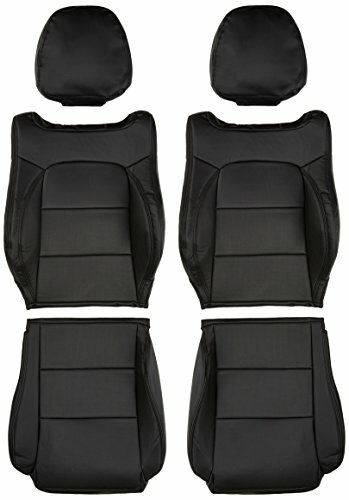 From Spiegel of light car specialty parts manufacturer, launched the Private cars seat cover! Studio Name Spiegel model Suzuki Cappuccino model EA11R, is the seat cover of EA21R year Product Description PVC leather specification. Seat cover that take advantage of the fit and durability of PVC leather is a good thing that can be perfect attached to your seat. Casual car to dress up! PVC leather specification shiny of leather-like PVC is Polyvinyl chloride stands for. Durable, water-repellent, has been adept in breathability. There is also a thickness in comparison with the normal poly material, it is a high value-added material with exclusive and magnificent High flavor. sporty design seat surface, the back is a punching style design, such as a sheet, which is used in the motor sports scene, you will be able to enjoy the sporty mood. Commodity color black Remarks Please note The Private cars seat cover. Please order from our well check the model type / grade year model or the like before ordering. The image is a sample product. Different from the actual product.